STRUCTURE-4X table features 14 gauge rectangular steel base in (3) heights: dining, bar and occasional. 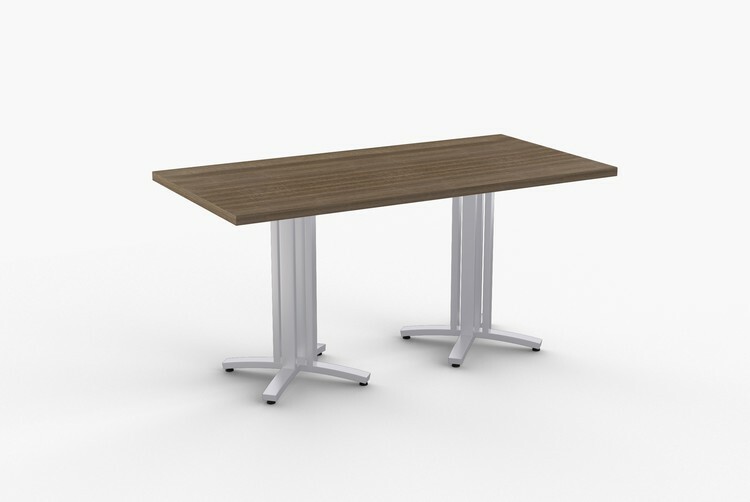 SpecialT table tops are nominal 1-1/4" thick. Core is 1-1/8" thick 45# M3 industrial strength density particle board. The top surface is laminated with High Pressure Laminate (HPL) and the bottom is covered with a balance backer. Standard edge is 3mm PVC. .038 paper backer sheet less than 48"
.038 phenolic backer equal or greater than 48"